When I was a young scientist I wasn’t too fond of Feyerabend, to put it mildly. And even as an early student of philosophy of science, I felt much more comfortable with the likes of Popper or even Kuhn (despite the famous intellectual rivalry between the two) than with the very idea of methodological anarchism. But while some people turn more conservative when they age, I guess I’ve become — to my surprise — more of an anarchist, and I have slowly, though not quite completely, re-evaluated Feyerabend. Of all things, one would think that astrology is, in fact, indefensible. (Should you have any doubt, I warmly encourage you to read this and follow up on several of the links therein.) And in fact, Kidd, argues, Feyerabend was perfectly aware that astrology is indefensible. Why then go on to write a panegyric about it? 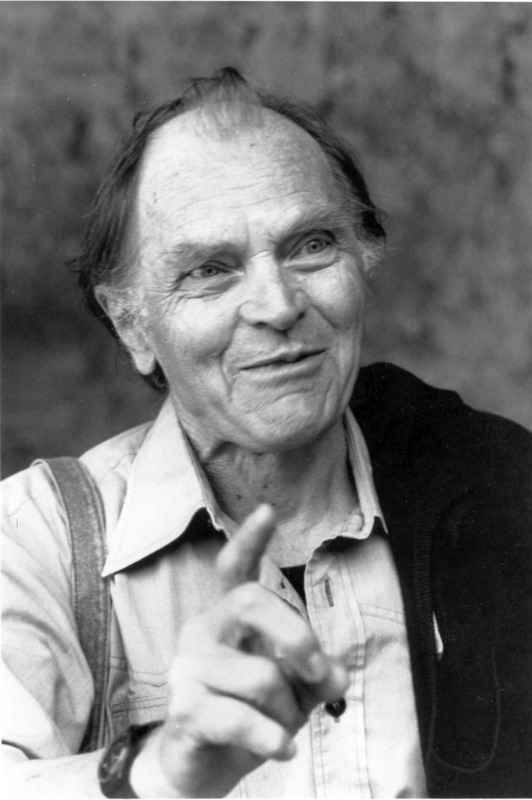 Because Feyerabend was disturbed by what he saw as a dogmatic “manifesto” against astrology, put out by Paul Kurtz (the founder, among other things, of what was once known as the Committee for the Scientific Investigation of Claims of the Paranormal, or CSICOP) and co-signed — seemingly mindlessly — by a number of scientists who lent their credibility to it. You can find the manifesto here (ironically, at astrologer.com! ), together with a critical response by both Feyerabend and astronomer Carl Sagan. Surprising to find Sagan there, isn’t it? So, both Sagan and Feyerabend were attacking Kurtz and his 186 not because they were wrong in criticizing astrology, but rather because they didn’t actually criticize it, resorting instead to a medley of ad hominem and irrelevant arguments because they knew they were right. That’s the definition of dogmatism, which, in theory at the least, is not a scientific virtue. And it is in terms of the concept of virtue that Kidd defens Feyerabend’s defense of astrology, as I’ll explain in the next post, out tomorrow. This entry was posted in Massimo's Technical Stuff, Philosophy of Science on August 29, 2016 by Massimo. To continue a thought from the last post, that would apply to this one, it might seem the debate is between domesticated scientists, trained to exacting standards and focused on specific goals, or wild scientists, running off wherever instinct takes them. And/or how to cycle between adaption and adaptability. Yes Massimo, if you’re going to trouble yourself to argue that something is BS, then you might as well do it properly. The way to do this, I think, is to establish whatever it is that astrologers believe, and then assess whether or not this seems to occur. Personally I’m a bit rusty on what it is that they believe. Isn’t it something about the time of year that you’re born, which then puts you into classifications based upon astral dynamics? Is gravitational pull suppose to be the mechanism? And isn’t this stuff associated with the “horoscope” business that you might read about yourself in the newspaper? In my humble opinion, Feyerabend had a sarcastic approach to do philosophy; and a lot of people don’t get his sarcasm and thus take his word as literal. I believe he has some degree of reaponsibility about that, and that is why I can’t stand his texts very much. Also, many of the claims about why astrology is wrong, in that piece, are themselves problematic. Ancients weren’t as incorrect on distances within the solar system as it implies, first. Second, since ancients had no theory of gravity, they couldn’t expostulate how much or how little gravity had an effect on planetary motions. Third, and more to the point, in both ancient and modern astrology, I’ve not heard gravity cited, except metaphorically, as an influencing cause. If anything is cited (often it’s not, just assumed or whatever), it seems to be an astrological equivalent of the luminferous ether or something. Fourth, the manifesto doesn’t discuss how much, or how little, connection ancient and modern astrology have. Ahh, I have a “fun guy” (hash brownies?) fan. One of the reasons the ancients might have looked to the stars for a sense of order would be the same reason why it is considered a hard science today. They are ordered at such extreme perspective. If we were up close and personal with any particular star, the most most basic principles we could apply would be physics, chemistry, temperature/thermodynamics and then it too would get chaotic. It seems Feyerabend was taking an anti-whiggish approach. Astrology wasn’t always an entirely incorrect endeavor. It could have been true and in some senses the sun and moon have profound effects on our biology. I remember a poll back in the 80s where a majority of people claimed to be afraid of scientists because of what scientists know. My comment at the time was that we should be afraid of scientists because of what scientists think they know. We are always going to look back on attempts to understand the universe as inadequate if not out-right wrong. Our legacy will be no different. Sagan points out that one could substitute “religion” for “astrology” in the manifesto with no significant change to the meaning. Perhaps we could go a step further and say that astrology is a subset within the broader belief system presented by the various organized religions in the world (although most of them would certainly reject its claims of truth). Further still, we might ask whether belief itself has any place in the field of science, as practiced in the 21st century. If this is the case, we have to accept that by far the greater part of human action and mentation lies outside the province of science. Disclaimers: my first interest, in my teens, was astronomy, and the amount and quality of discovery in that field in the ensuing 60 years is overwhelming. Some time later, during the maddest era (1968-77), I resided in one of the maddest places (Berkeley), where four of my children grew up, and there I had more than a passing encounter with astrology. I was fascinated by the template it offered for self-analysis, with an orrery-like arrangement of planets, signs, and houses referring to specific areas of personality and character. I never for a minute “believed” in it, in the sense of believing that, say, a contour map was a fairly accurate representation of a mountain that I intended to climb, but the possibility of the usefulness of a fictionalized model in contemplation of one’s own psyche appealed to me. This reminds me of a conversation I once had with someone who believed in astrology. I asked him why, if astrology is true, my twin brothers have very different personalities despite having the same birthday. He had an answer ready and as he kept talking, I soon realised he would have a reasonable-sounding answer for any question I could ask. The pre-judgment of astrology’s indefensibility is as taken-for-granted here as it was in Flaubert’s compendium of bourgeois bromides, the Dictionary of Received Ideas which appeared as the appendix to his enigmatic posthumous novel ‘Bouvard et Pecuchet’: “Astronomy, . . . in speaking of it, make fun of astrology.” Lest there be any doubt, we are ‘warmly’ encouraged to visit a notably vehement and virulent dossier of anti-astrological arguments and links. Paul Feyerabend was born in Vienna in 1924 and before the war he aspired to be an operatic baritone. In 1944, in the service for his country he was seriously wounded and crippled for life ending his thoughts of a stage career. It may be of significance that his first impulse of the heart was toward the arts. Later he even invoked Dadaism as a way of explaining how science may work. A if in exchange for the loss of the use of his legs he received two awards specifically for bravery: promotion to 1st Lieutenancy, and the Iron Cross. For a while Feyerabend was one of the reigning international glamor-boy academics, with numerous prestigious appointments. Contrary to what one might gather from casual encounters with his name thses days, he did not say a great deal about astrology. In his seminal work, ‘Against Method’ (1975), the subject is barely mentioned: the term ‘astrological medicine’ flies by, in passing footnotes both Comte and Kepler are credited with miniscule good words for the subject. True, he tauntingly placed his horoscope on the backflap of ‘Against Method’ in lieu of an author’s bio, along with a handsome and self-satisfied headshot. Back to the book-jacket where I discovered that the Sun was in the 23rd degree of Capricorn when Feyerabend was born. Now insofar as astrology is a divinatory, as opposed to a scientific endeavor, it has much in common with simple bibliomancy. The random positions of the planetary bodies are used to point us to certain texts. A favorite text of mine is The Sabian Symbols (1969) by Marc Edmund Jones. (One thing I might say about M. E. Jones is that he obtained a doctorate in philosophy at the University of Chicago and John Dewey was his thesis advisor.) For the 23rd degree of Capricorn Jones presents us with this image: “Two awards for bravery in war”. I find Jones’s subtle, obliquely systematic commentary (which I will not transcribe), its possible interpretations vis-à-vis Feyerabend’s ideas and personality, and the experiences of other individuals partaking of the same Zodiacal degree to be data of an intriguing study of the world, full of open questions. He had an answer ready and as he kept talking, I soon realised he would have a reasonable-sounding answer for any question I could ask. Socratic, nope, not holding one-link comments. The one “test” comment you submitted went through (and I then deleted it), but it didn’t have any links. You would think that among them they could have come up with a rather more robust (and accurate) statement against astrology than that. But I guess we were more naive in those days. Well, I was just a schoolboy then, so I had an excuse, but even then I knew better about the knowledge of the ancients about the distances of the stars and planets. Astrologers put me in mind of the Baconian approach to Shakespeare: ignore the majesty of the verse (or universe) in the attempt to winkle out some obscure message in code. That might describe much of our intellectual obsessions. Searching for secrets in the details and ignore what the big picture is telling us. Digitizing the analog(ue). Even the parts reflect the whole, if you know how to look, not just breaking it into meaningless digits.